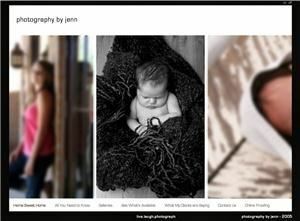 Jenn offers beautiful candid portrait style photography that you will cherish for a lifetime. Specializing in children and family portraits, infants and maternity, she will be sure to capture your life memories and important milestones so you NEVER have to forget them. With her photojournalistic and contemporary styling, Jenn treats each session as a unique and individual case tailored to your very unique personalities. For over 5 years, Jenn has strived to be an observer the life of her subjects and aims to uncover the true you in your photos. Against the grain of traditional photography your session will be fun, refreshing and all about you. Please visit our website to see summer specials and book an appointment now.